Lorraine Sainsbury’s great–grandfather was Samuel Eli Rose, always known as Eli. He was the tenant farmer at Hamptworth Farm, where he lived with his wife Edith and nine children. One of his sons, Walter Rose was Lorraine’s grandfather. Another son, Frederick, worked on the farm and took over when Eli died in 1921.The third son, George Herbert Rose was Lorraine’s great uncle. George died in action during the Great War. Hamptworth Farmhouse is still there on the road to Landford, but is now a private residence. Lorraine was able to provide information about George and had a very interesting selection of photographs, letters and memorabilia, which she inherited from her mother. George Rose was the third son of Eli and Edith Rose of Hamptworth Farm. He was one of nine children and was born at Compton Chamberlain in about 1895, but brought up in Hamptworth. The 1911 census records him as a farmer’s son, aged 16, working on the farm, alongside two of his brothers, Richard (19) and Eli (15). 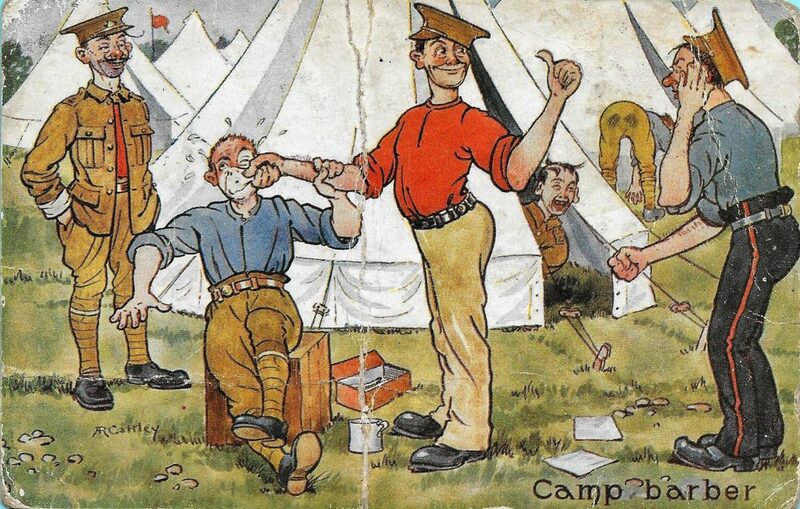 He enlisted as a Private in the 7th Battalion, Wiltshire Regiment at the beginning of the war. 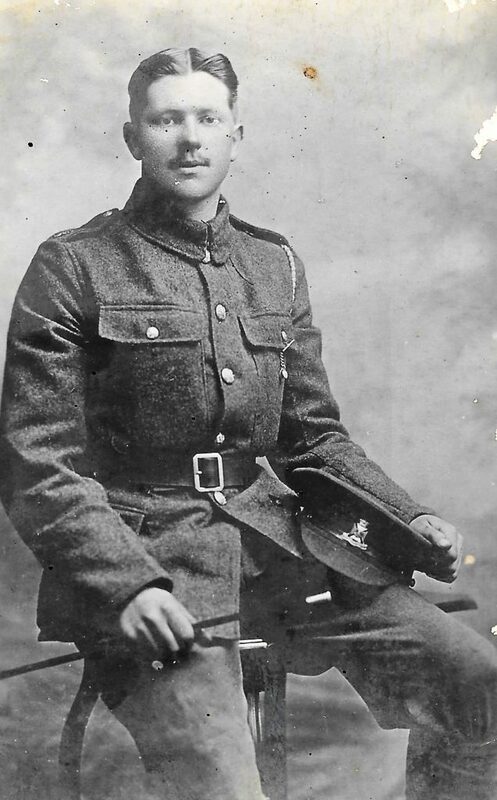 He served in France and then Greece and was killed in action at Salonika on 24th April 1917, aged 22. He is commemorated on the Doiran Memorial, Greece. Locally his name is on both the Roll of Honour and the Memorial in St Mary’s Church. 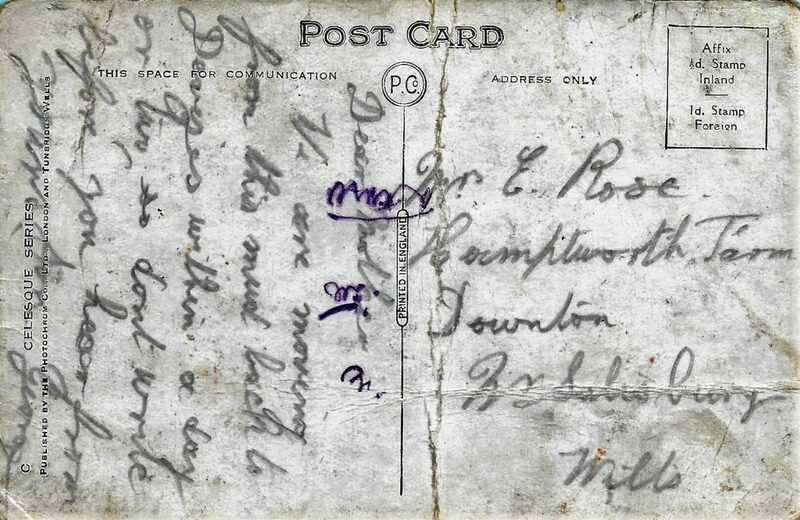 Postcard sent from George Herbert Rose to his mother Edith. Back of postcard sent to his mother. 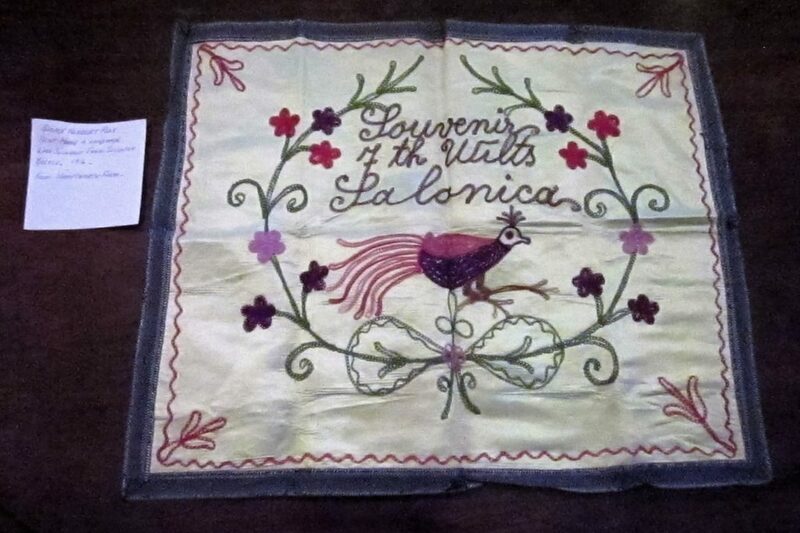 Before his death, George had sent home, from Salonika, an embroidered panel showing his regiment, the 7th Wilts. His mother, Edith treasured this and it is still in excellent condition. Edith, in her letters to her eldest son Maurice who lived in Canada, speaks of her sad loss and also describes life on the farm at that time. Part of letter sent from Edith Rose of Hamptworth to her son Maurice in Canada on March 31st 1918. It was written on very thin paper and was difficult to read. It was transcribed by Lorraine Sainsbury.